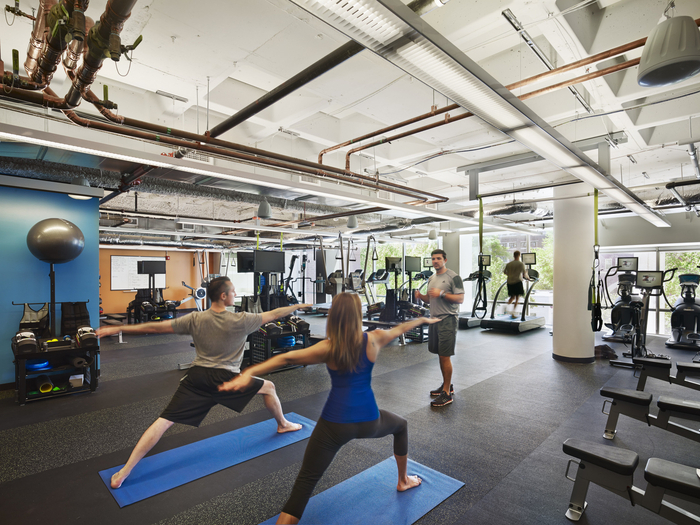 Never before in the relatively short history of the gym industry have there been so many diverse ways for fitness enthusiasts and health-conscious individuals to reach their personal fitness goals.The explosion of budget gyms, small group training studios, and independent clubs, not to mention the accessibility of fitness programmes online and via social media has meant that everyone can find a training system that fits around their busy schedule and most importantly, is enjoyable and addictive.This revolution, and democratisation in fitness has seen many gyms and leisure centres radically change their gym design and equipment offerings to cater for these growing trends. This has inevitably had an impact on home gym design, and the types of equipment used in them. The traditional gym journey for the average gym member meant a quick show-around the gym equipment – usually the treadmill, bike, cross trainer and several plate loaded resistance machines, and then a standard gym programme to follow – not very exciting, or guaranteed to make the average gym-goer return for more, hence the high drop out rate and disillusionment. All this has now changed due to the explosion of FUNctional training and the increased popularity and well-established benefits of free-weight training. 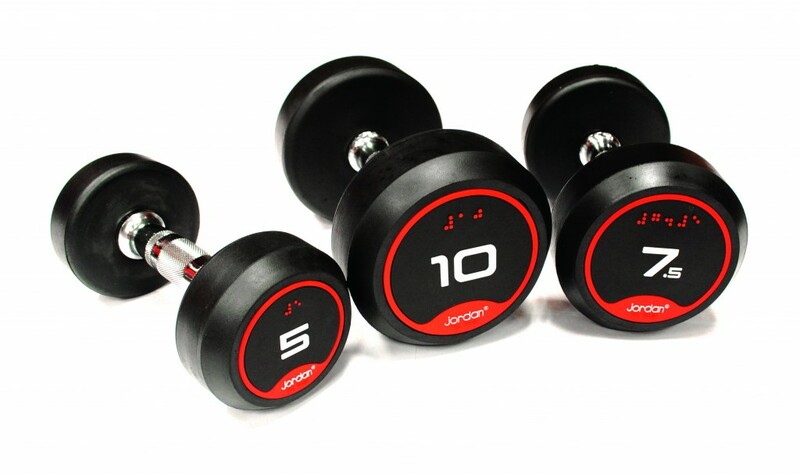 The traditional gym set up is having to cater for this growing demand, as are gym equipment suppliers. 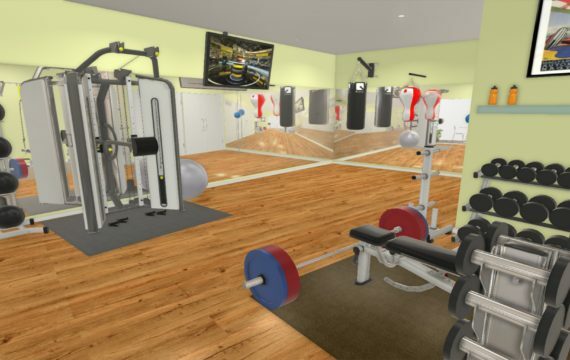 Where a gym used to have row upon row of identical gym machines offering identical workouts, there are now open freestyle areas geared towards individuals who wish to create their own bespoke gym programme. Choosing the gym equipment they prefer, anything from Olympic bars to kettlebells to TRX-like systems, not to mention all manner of inflatable balancing equipment – it’s rather like a gladiator going into the amphitheatre choosing his weapons against an opponent, the opponent in this instance being one’s ego! So how do these new fitness trends impact home gym design, and what should the home gym of 2016 look like to reflect these new trends? One obvious benefit is that you no longer need a huge space to train in. Not everyone can afford to dig out a basement, or build a dedicated gym building in their back garden and have a small boutique gym, literally on their doorstep. 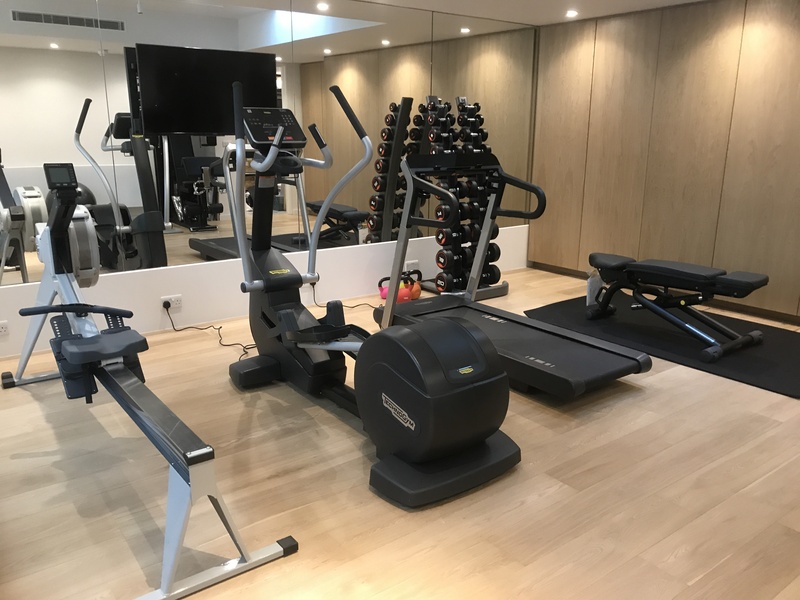 If space is at a premium, or you’re more budget-minded then you’ll need to pick pieces of gym equipment that give you maximum return for your investment. One compact piece of gym equipment that offers multiple training options is the dual adjustable pulley system shown below in the video of a home gym walk through. It allows users to train all of their body safely and effectively. 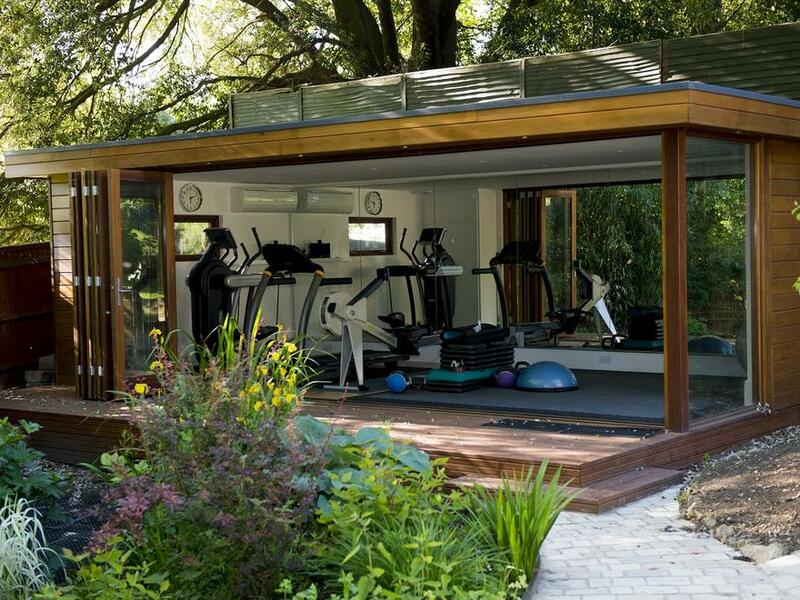 Add in a few free weights, a TRX, some punchbags, mirrors and a bench and you have yourself the perfect home gym design offering multiple training options so boredom is kept at bay. But what if I fancy jumping on a treadmill for some HIIT intervals, I hear you say? Where do I put a 2 metre long treadmill if I like to run, but have no space for it? Well the clever people at Technogym have thought of that too, and designed and manufactured the perfect fold-up treadmill, which when stored takes up less than 1 sqm, and as it’s on wheels can easily be transported to other rooms. With a small outlay, a home gym is now more affordable and attainable than ever. By choosing a few key pieces of equipment, following a programme that you enjoy, you can ensure you always get to the ‘gym’ and missed workouts will be a thing of the past. How much is a small outlay? Thank you for your comment. A small outlay would be anything from £500 – £2,000, depending on what YOU consider to be small! A spend within this region would give you some decent functional equipment to get you started. We will be posting further information shortly to give you some idea of exactly what you would get for you small outlay. Please could you contact us at info@morpheusgymdesign.co.uk and we can advise on how we may be able to assist with your project. Thank you.